Star of the catalogue front cover, a beautiful example of the 1865-67 10d. red-brown plate 1 watermark emblems error (lot 779, above), used in Constantinople and believed to be the finest of the fourteen surviving examples of this rare stamp, fully deserved its £42,980 realisation. A fellow ‘abnormal’, the 1873-80 watermark spray 6d. 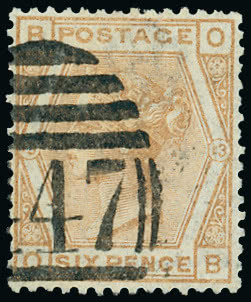 pale buff plate 13 (lot 870) rose to £9,578 despite a few blunted perfs. 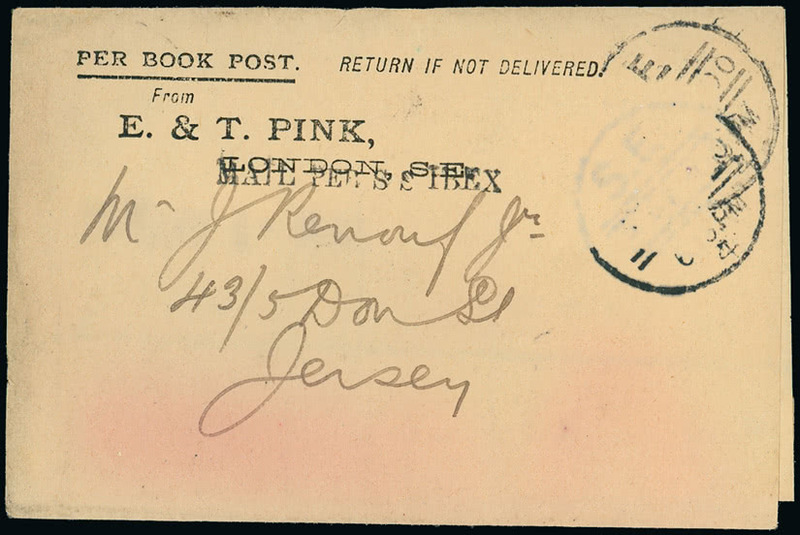 The postal history section of the sale was greatly enlivened by the inclusion of the outstanding collection of Surrey markings and postcards gathered by the late Arthur Moyles. The bidding for these groups was particularly enthusiastic with a fine study of Croydon markings (lot 241) reaching £2,026 and a comprehensive range of markings from various offices arranged alphabetically (lot 256) rising from its £1,400 estimate to an impressive £8,596. A strong section of Airmails was greatly enhanced by the fine collection formed by Squadron Leader D.R. Stratton. A highly desirable collection of External airmail covers (lot 272) climbed from its £500 estimate to £1,596 whilst a similar collection of Scottish Airmails (lot 278) left its £300 estimate far behind to climb to an impressive £1,903. Realisations for King George V material were sound but more predictable. 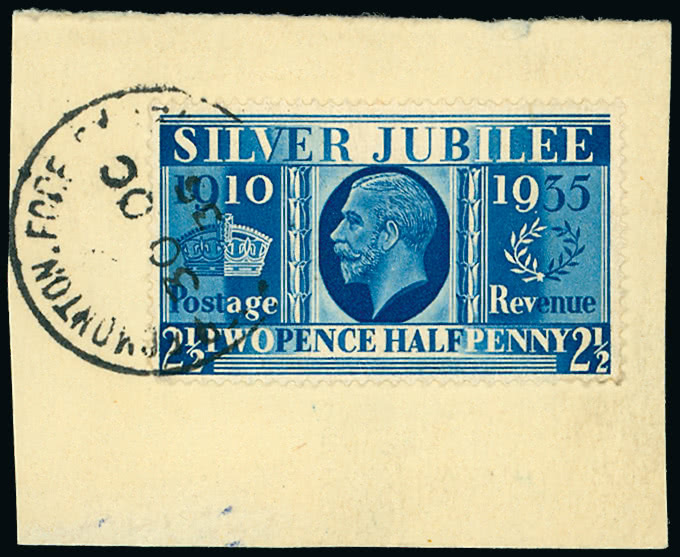 Two key items from this period, a superb 1935 Silver Jubilee 21/2d. Prussian blue on piece (lot 1360), used in Edmonton, did not disappoint at £7,982 ,whilst a mint copy of the attractive 1912-24 1/2d. “Cyprus” green shade (lot 1129, left) achieved £6,140 despite a few tiny tone spots on its gum. Prices for modern commemorative errors continue to catch the eye. 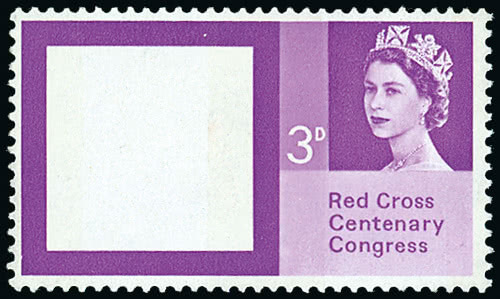 Dramatic and rare, the 1963 Red Cross 3d. 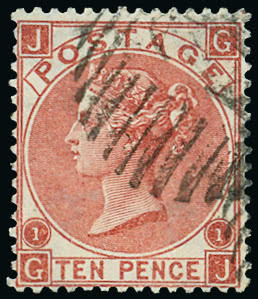 phosphor showing the red cross omitted (lot 1502, left) is one of just four known examples and bidding for this stamp climbed to £30,086 before its new home was decided. 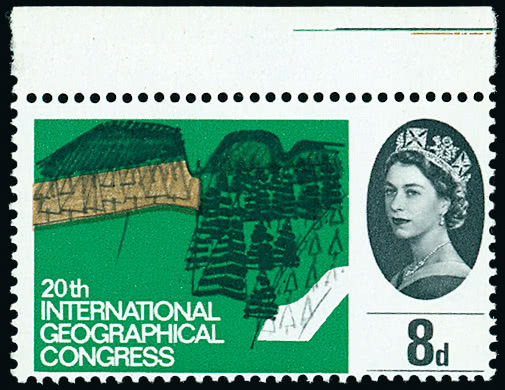 A fine upper marginal example of the 1964 Geographical 8d. 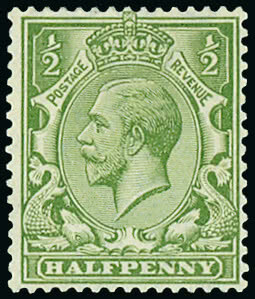 ordinary with green colour omitted (lot 1506) was similarly well supported to £17,806. Concluding the three-session auction, the JJB Collection of Channel Islands was greeted by strong interest and some notable prices. 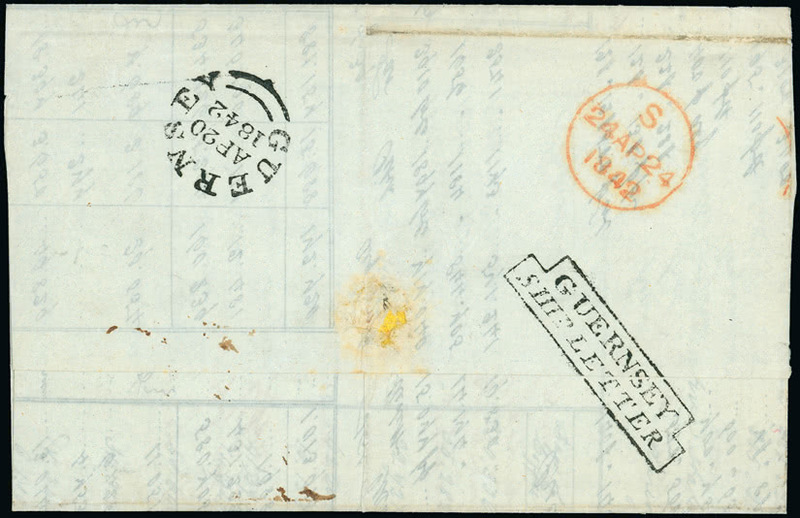 An 1842 prices current from Rio de Janeiro to London (lot 1868) showing an excellent strike of the rare step-type “GUERNSEY/SHIP LETTER” mark, one of just seven known examples, sold for £2,947 and a 1900 bookpost wrapper from London to Jersey (lot 1929), a survivor from the wreck of the S.S. Ibex, climbed to £1,842. Bidding was strong for both collections and items in this auction which showed further indications of a market ‘stretching’ in transition, one in which more straightforward material will remain static or even fall, whilst prices paid for fine, rare items continue to be pushed upward.